Purchasing a new awning for your patio or balcony can be a real chore. From looking around for the best price, to the initial sale and then trying to find someone to put it in exactly where you want it. Let us help! Not only do we supply some of the best awning designs on the market, but we install them for you too. Based in Wrotham Heath, we provide awning installation to properties across the South East. Purchasing a new awning for your patio or balcony can be a real chore. From looking around for the best price, to the initial sale and then trying to find someone to put it in exactly where you want it. With 1st Choice Awnings, we will not only deliver the awning to you, but we will install it as well. We do not offer a supply only service, which means that when you buy an awning with us, you will automatically get an installation, too. Having an awning installed above your patio or balcony means that you can enjoy the summer sun without fears of a sudden rain shower or even the potential of sunburn. 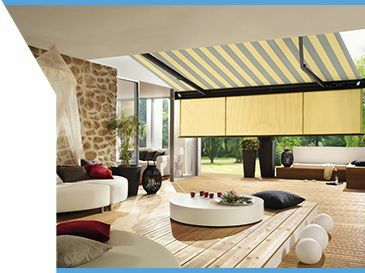 With our range of markilux garden awnings, you will be able to spend days and nights in your outdoor space, soaking up the rays or spending time with friends. Come rain, sun or wind, your awning will protect you against the elements with a range of features designed to remove dirt and debris, push off water and shade large areas of your balcony or patio. Speak to one of our awning specialists today to learn more about how you can transform your outdoor living space on 01732 809341, or message us through our contact form. With 1st Choice Awning Specialists, you will get a face-to-face meeting with one of our experienced engineers, who will come to your home to measure your patio or balcony, offer a quotation and come back to install your awning for you. Our team utilise their years of experience to provide clients with quick and professional markilux awning installations at a time that best suits them and where they need it. We offer a full range of patio and balcony awnings that come in a variety of models, makes and designs. This ensures there is something that best fits in with the decor of your home. Based in Wrotham Heath, 1st Choice Awnings supply and install high quality garden awnings for homeowners across East Sussex, Surrey, Kent and South East London. We have recently completely projects in areas such as Aylesford, Tunbridge Wells, Queenborough, Margate, Orpington, Ramsgate, Sheppey, Maidstone, Broadstairs, Dartford, Erith, Ashford, Canterbury, Sevenoaks, Swanley, Sandgate, Faversham, Harrietsham, Folkestone, Chatham, Bromley, Beckenham, Dymchurch, Sheerness, Sittingbourne, Rochester, Strood, Bexleyheath, Hythe, Bromley, Hollingbourne, Whitstable, Charing, Bexley, Tonbridge, Longfield, Gravesend, Sidcup, New Romney, West Malling, Herne Bay, Gillingham and Dover. 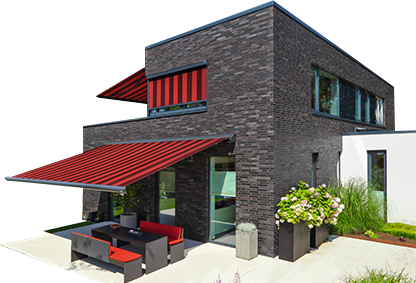 If you would like to learn more about the garden awnings we have for you to purchase, please visit our Awnings page for all of the necessary information and prices.